French-born Rémi Tremsal moved to Australia in 2003 to further his career as a jockey. While recovering from a 2011 back injury, he indulged in his passion for cooking. 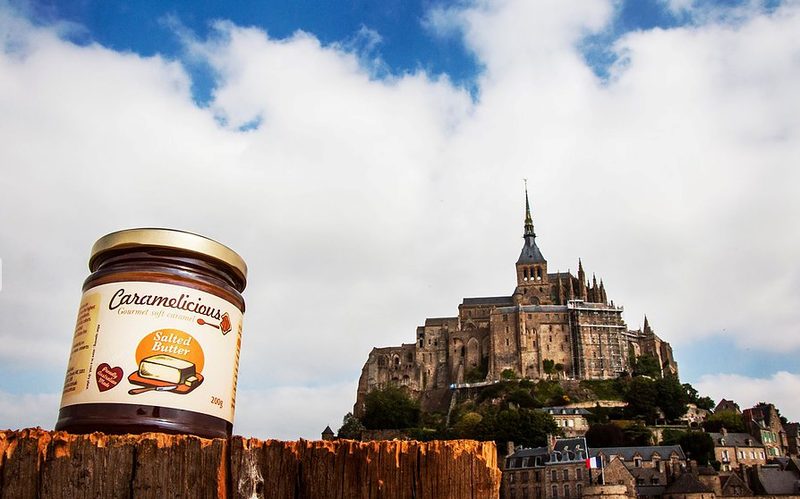 Rémi began to perfect a traditional French caramel recipe passed down through three generations of his family, lovingly prepared in small batches in copper bowls. Friends and family raved about the exquisite flavours and texture, so he began combining track work with preparing his fine confections. Rémi’s partner Breena, an artist with extensive experience in retail, saw the commercial potential of the delicious, home-made caramels and encouraged him to make them commercially. Caramelicious was born in 2011. The Carrum Downs artisan production outfit sells salted caramel spread that can be turned into a sauce when melted. Flavours include salted butter caramel, vanilla, coffee, chocolate and choc-hazelnut. 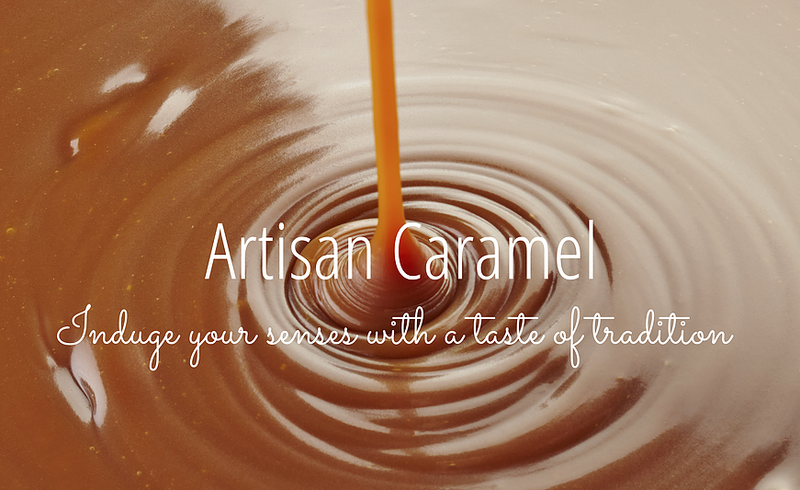 Caramelicious products are available in specialty delicatessens, retail shops, crêperies and farmers’ and artisans’ markets in Victoria and nationally. They are also sold online and exported. Customers include corporates, wholesalers, retailers, food services and the public. The caramels can be used for savoury and sweet dishes by professional or home chefs. Caramelicious also provide custom made products for liquors, yoghurts and ice creams. Breena and Rémi are known for their friendly and efficient service as well as their gourmet products. Several products have won fine food awards in Melbourne and Sydney, including Champion Sweet at the 2014 Sydney Royal Fine Food Awards. “We stand for everything that a small business manufacturing company represents,” Rémi says. When they started the business, Rémi and Breena contacted their local Frankston City Council and were offered a free SBMS mentoring session. Breena and Rémi were matched with SBMS mentor Erik Rubens, an international trade and travel expert. Erik has started new businesses that were later sold, gaining an understanding of the setting up and registration process, directorships and senior management. He still owns an independent retail travel business, provides bookkeeping and financial management services and helps Non-for-Profit organisations. Breena and Rémi had eight sessions with Erik over 2.5 years, starting soon after they won a small business achievement award. During their sessions Rémi and Breena had an improved understanding of running a small business and their associated skills. They increased their sales, export opportunities and safeguards, and introduced new systems and succession planning. “They developed a greater awareness of their needs and how to avoid potential disaster,” Erik says. Erik helped them to structure their business and with marketing, accounting, logistics exports and promotional aspects both domestic and international. Over that time, Caramelicious achieved slow but steady growth, with strong achievements in overseas markets. “This was achieved in minimal time by a dedicated husband and wife team,” Erik says. Since seeing Erik, the business has increased its brand awareness and credibility. Rémi and Breena are grateful for Erik’s guidance, which has allowed them to take more control and realise the potential of their products.